Editor's note: The book giveaway originally associated with this article has ended. Winners will be notified and announced later this month. We love hearing what’s on the bookshelves and Kindle libraries of the IT leaders we interview. Here are 10 of their book recommendations for fellow IT pros and business leaders. If you're looking to add some new books to your reading list this spring, be sure to check these out. 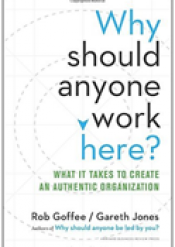 Book description: "How do you create a culture people want to belong to? In this powerful and necessary follow-up to the classic "Why Should Anyone Be Led by You? ", leadership and organizational sages Rob Goffee and Gareth Jones identify and illuminate the six key organizational attributes to do just that." Why it's a must-read: "The premise of the book is that the old paradigm has shifted. Leaders must now transform their organization to attract people who want to build, shape, and grow the business and its culture. It’s a little different than the old approach of 10 people in charge of determining where the business is going. What got you to the party isn’t going to get your business to the next level. Your people and culture are going to play a big role in making this new model work. And the people who are going to make a difference are going to go to the companies that fit with their ideals and their values rather than just seeking out the best pay." 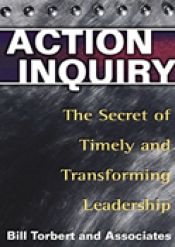 Book description: "'Action inquiry' is the process of transformational learning that individuals (and even whole organizations) can undertake to better assess current dangers and opportunities, act in a timely manner, and make future visions come true. 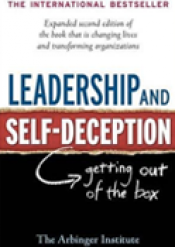 Through short stories of leadership and organizational changes in the areas of business, politics, health care, and education, this book illustrates how this process can increase personal integrity, improve relationships, and lead to company profitability and long-term success. Why it's a must-read: "This is a must-read on the concept of inquiry and discourse. It’s written in an academic way, which may not be appealing or accessible to everyone. But I think other CIOs would get a lot out of it in terms of how to develop an inquiry mindset, how to enable all voices to be heard, and how to get people to elaborate on their ideas." Book description: "When faced with complex challenges or uncertain outcomes, many leaders believe that if they are smart enough, work hard enough, or turn to the best management tools, they will be able to find the right answer, predict and plan for the future, and break down tasks to produce controllable results. But what are leaders to do when this isn't the case? 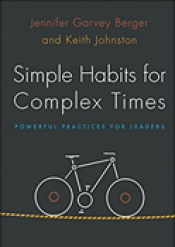 Rather than offering one-size-fits-all tips and tricks drawn from the realm of business as usual, 'Simple Habits for Complex Times' provides three integral practices that enable leaders to navigate the unknown." Why it's a must-read: "This book makes the concepts of inquiry and discourse accessible for everyone. Along with 'Action Inquiry,' by William Torbert, these are two books that I’m never done reading. I go back to them often because the takeaways are so valuable for technology leaders." Book description: "'Losing the Signal' is the riveting untold story of how BlackBerry engineered one of the most spectacular technological upsets of the twenty-first century before it lost its way in the fog of smartphone wars, management indecision, and the breakdown of one of the most successful partnerships in the history of Canadian business. Its rise and fall is a cautionary tale of the unrelenting speed of modern success and failure. 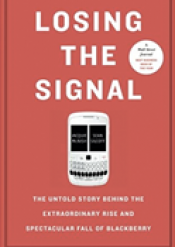 Why it's a must-read: "'Losing the Signal' tells the incredible story of how Mike Lazaridis and Jim Balsillie built BlackBerry into one of the world’s most recognized brands – only to see it virtually extinguished by more innovative and compelling products. I recommend it to any executive as a sobering lesson never to take perceived market dominance for granted." 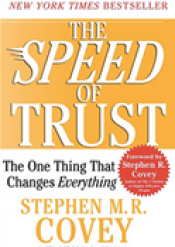 Book description: "For business leaders and public figures in any arena, 'The Speed of Trust' offers an unprecedented and eminently practical look at exactly how trust functions in our every transaction and relationship — from the most personal to the broadest, most indirect interaction — and how to establish trust immediately so that you and your organization can forego the time – killing, bureaucratic check-and-balance processes so often deployed in lieu of actual trust." Why it's a must-read: "Trust is the foundation for effectively working together and getting things done, which is what we are trying to do in IT. If you have trust, you can collaborate. That is the main focus of this book. On the flip side, if you don’t have trust, it’s like sand in your gears – everything slows down. People start questioning motives and wonder what they need to do to protect themselves. I have read this book about three times over the last couple of years. It has made a really big impact on the way we’re working as an IT organization." Book description: "Through a story everyone can relate to about a man facing challenges on the job and in his family, the authors expose the fascinating ways that we can blind ourselves to our true motivations and unwittingly sabotage the effectiveness of our own efforts to achieve success and increase happiness." Book description: "Making the transition from good to great doesn't require a high-profile CEO, the latest technology, innovative change management, or even a fine-tuned business strategy. At the heart of those rare and truly great companies was a corporate culture that rigorously found and promoted disciplined people to think and act in a disciplined manner. Peppered with dozens of stories and examples from the great and not so great, the book offers a well-reasoned road map to excellence that any organization would do well to consider." 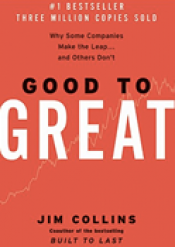 Why it's a must-read: "I recently re-read 'Good to Great,' and even though it’s been 15 years since I first read it, it’s still one of my favorites. It has some great reminders that to be successful we really need to define our core business and work hard at making sure our core business is excellent, and have a tight filter on new things. That can seem counter to a culture where innovation is encouraged, but I think it’s a matter of keeping the innovation in the swim lanes of the business. In a world where innovation and the pace of change continue to accelerate, it’s a great reminder to me that the most successful businesses are ones that go deep with core capabilities as opposed to going wide. That can sometimes be counter to outside pressures, but the book reminds us that 'Good is the enemy of Great,' so if you are not great at your core business, that should take top priority over new things." 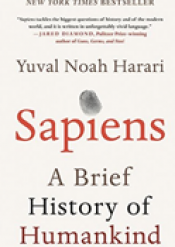 Book description: "From examining the role evolving humans have played in the global ecosystem to charting the rise of empires, Sapiens integrates history and science to reconsider accepted narratives, connect past developments with contemporary concerns, and examine specific events within the context of larger ideas. Why it's a must-read: "This is a work of incredible scope and thoughtfulness. At a time when science and evolution are being questioned, it is important that those of us who are believers be capable of articulating why we think the way we do. At the same time, science must be imaginative and joyous and he brings that attitude to the book. The science and story of our species are the platform for Yuval’s book and what an incredible, albeit short journey it has been. Yuval takes the reader through the three great revolutions, Cognitive, Agricultural, and Scientific and leaves the fate of homo sapiens in our shaky hands. As we enter an age of 'intelligent design,' it is unclear to the author and the reader where we will end up on our journey and that is what makes it unbelievably good. Read this book!" Book description: "Pedro Domingos lifts the veil to give us a peek inside the learning machines that power Google, Amazon, and your smartphone. 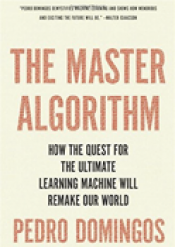 He assembles a blueprint for the future universal learner – the Master Algorithm – and discusses what it will mean for business, science, and society. If data-ism is today's philosophy, this book is its bible." Why it's a must-read: "‘Machine Learning' and ‘Big Data' are terms that are regularly making headlines, there's so much out there to consume about it. I wanted to deepen my knowledge in this subject without getting into all the math (at least not yet). I found this book to be a great book in showing how and why things really work without the heaving math that typically surrounding these topics. It provides a better overview of the entire field of machine learning than any other book I've come across." Book description: "Drawing on years of research and up-to-the-minute trends, Brynjolfsson and McAfee identify the best strategies for survival and offer a new path to prosperity. These include revamping education so that it prepares people for the next economy instead of the last one, designing new collaborations that pair brute processing power with human ingenuity, and embracing policies that make sense in a radically transformed landscape." 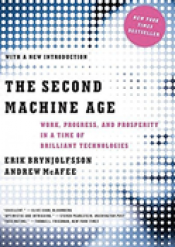 Why it’s a must-read: “Given the debate about how technology is replacing work and the need for our society to up-skill to the realities of the new economy, it's a compelling read. The debate is active today – will new jobs be created at the same pace as automation and robotics replace them? The rise of data science is a great example of how technology can create demands for new skills. Regardless of what side you fall on, our educational systems need to promote modern and nimble ways of learning. The need for agility in our educational systems very much applies here."